We have seen a dramatic increase in hospital employment of physicians over the last decade. However, many physician practices and groups still remain privately-owned, mostly by physicians. Subsequently, practice buy-in and buyout transactions continue to be a vital component to the practice operations and have long-lasting effects on the welfare and success of private medical practices of all sizes. A recent court case in which Coker was involved illustrates the need for a well-defined and up-to-date operating/partnership agreement for private physician groups and underscores the importance of quality and reasonable valuation analyses. This case was surrounding the dispute of buyout purchase price relative to the retirement of the founding member of a very successful pediatric group located in New Jersey. In 2001, the four physician members entered into the current operating agreement, which governs the practice’s operations and the relationship between the members. In 2016, the founding member announced his retirement, which would result in the remaining three physicians purchasing the retiring member’s 25% equity interest. To establish the buyout purchase price, the members obtained practice valuations from a number of firms but failed to agree to an updated valuation. Practice values concluded by the firms engaged by the retiring physician were significantly higher. The parties obtained external opinions of the practice “net worth.” Once again, the retiring member’s expert came up with a net worth value significantly higher. This is mainly due to the inclusion of goodwill, which, according to Generally Accepted Accounting Principles (GAAP), only appears on a company’s balance sheet after the company has acquired another business. This scenario is not the case with the practice. The court found the definition provided by the non-retiring members’ expert to be correct in that goodwill should not have been included in the net worth calculation. GAAP developed by the Financial Accounting Standards Board specifically mandate that intangible assets such as goodwill are not recorded on the balance sheet of an entity unless it is a product of an acquisition or business combination. Additionally, the retiring member’s expert’s definition was too vague and allowed for manipulation of the calculation. In the end, the court endorsed the valuation opinion of the non-retiring members’ expert. Ironically, after spending years on litigation and significant legal and consulting fees, the court concluded a buyout price that is even lower than the fair market value concluded by the valuation expert jointly engaged by the retiring and non-retiring physicians at the very beginning of the process. The retirement of the founding member, which should have been a celebration of his almost 40 years of services in the community, turned into an unpleasant lawsuit and ended up with a buyout price below the FMV of the member’s equity interest. The court was “mindful” that the retiring physician may feel that his efforts as a founding member of the practice and an established physician for almost 40 years were not adequately rewarded, but due to the language of the operating agreement and lack of updates to the agreed value since 2001, the court was required to apply the formula as agreed-upon. First, misleading valuations by the retiring member’s advisors set an unrealistic expectation for the practice value. Unfortunately, this commonly occurs not only in buy-in/buyout scenarios but also in external arrangements such as physician-hospital transactions. In many cases, physicians received lofty valuation opinions from non-professional advisors or valuation analysts who do not specialize in healthcare. Valuators without sufficient industry knowledge frequently misapply valuation methodologies and assumptions. Second, the practice’s operating agreement had not been reviewed or updated for years. The key term “net worth” is vague and rarely used by appraisers and accountants. 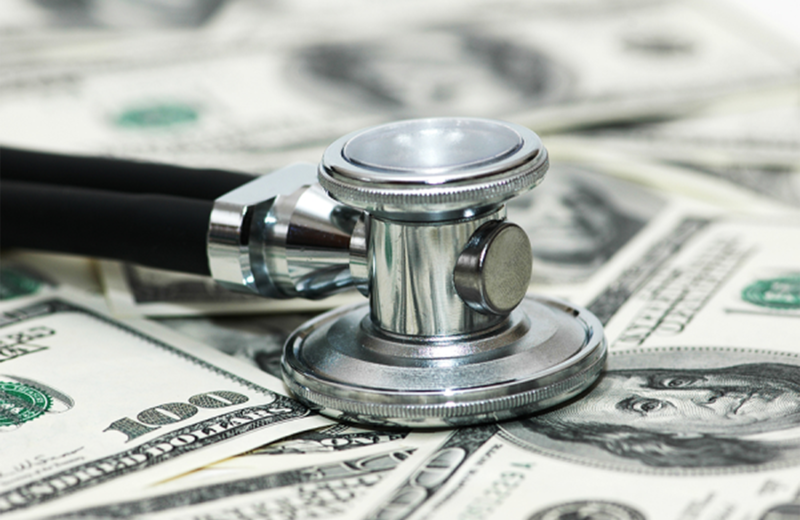 If the valuation formula had been explicitly outlined and defined, the physicians would not have to have gone through the costly and time-consuming litigation process. As the above court case illustrates, it is crucial for private physician groups to maintain an updated and explicit buy/sell agreement and regular valuation updates. The lack of such in this case resulted in several years of litigation, significant legal and consulting fees to each side, disruptions to the practice, and ill will between long-time colleagues that may never end. Coker regularly works with physician groups in reviewing and designing buy/sell arrangements among physicians. Our valuation team members have extensive experience in completing valuation relative to actual buy-ins and buyouts. Please contact us to discuss how Coker can assist your organization with a valuation analysis.